Only thing ive changed is i filled the reservoir with R/O water to try get 2ml / l a+b without going over 1.2 ec.. and even though i only ran one grow of 5 plants 2 years ago on this filter.... it only dropped tap ec to 0.3 but i ran with it anyway... 1.4 ec with 2ml / l a+b... after 2 days running that the yellowing showed on one of the widows.. so im thinking maybe the girls got used to tap water? anyway today i already filled the reservoir with two thirds tap water and gave it 1.5ml / l A+B and also introduced Overdrive. 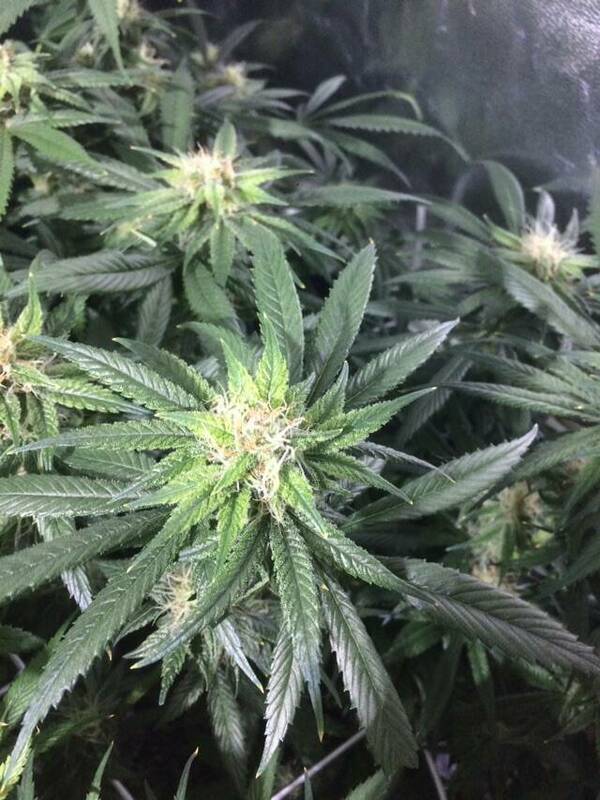 the 1/3 of the old reservoir that got topped with tap water had big bud in it. so now the reservoirs mix is as following: canna ab 1.5ml/l. big bud 0.5 ml/l. overdrive 1.5ml/l. 1. Is there anything else besides the change in water to cause this kind of yellowing? 2. Was it a good move to introduce overdrive today? 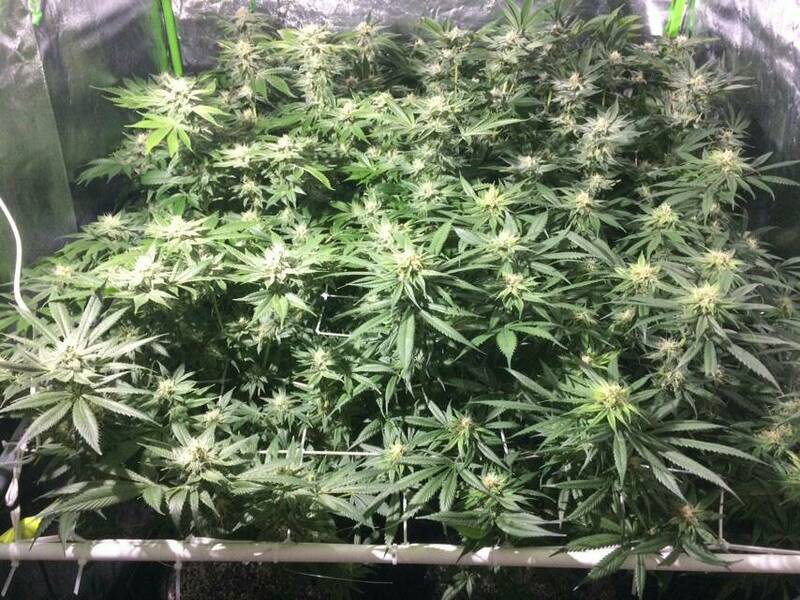 give them all big heavy flush before you do this also, using rhizotonic for a week or 2 will help get them producing pistils again an help with stress, dont stress to much on the ec now with you being so late in to flower, you usally start low on ec tapering up were week 5/6 is prime for nice higher ec, then ya would start going lower. I will get an 8-10" fan underneath canopy tomorrow. Let's hope id get something decent ouot of this grow. jokez brother youre such a big help. i learn from every signle post of yours honnestly." No expert but it looks like it’s been drinking up the nitrogen and the new growth hasn’t, have you made any changes because in my eyes that’s now normal what you see coming through and the older leafs and growth may have been slowing due to the nitrogen which it looks like is sorted. 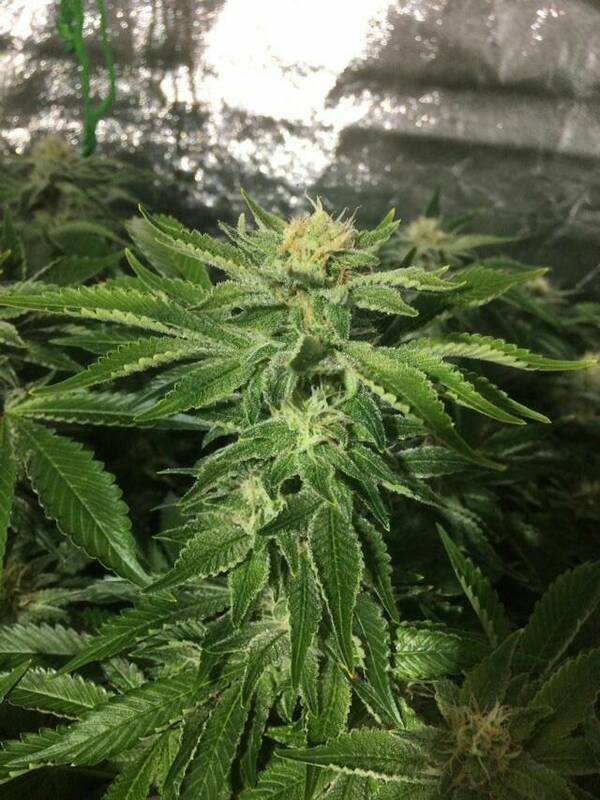 yes mate we had nitrogen toxicity early flower like day 20 then flushed her and brought nutes back up and toxic came back just a little i have nothin to do bout it cuz one of the kush wants more N u see she yellowed a lil when i dropped the N to fix the toxicity (the other pic) so just tryin to balance 2 strains / 4 seeds with one reservoir..
so ur right bout plant dealing with nitro excess anyway i still fee very odd about top yellowing never had that in 5 runs through the years so I deluted a lil bit from all nutes for 0.4 ml / l cal mag i know it doesnt have zinc in it which what i suspect but at least they gona get some other micro elements and tmrow ill check on em again if yellowing continues ill get them some advanced zinc shyte ill see what they got in the store..
Let's hope id get something decent ouot of this grow. jokez brother youre such a big help. i learn from every signle post of yours honnestly. btw buddy we day 49 today. And the Kushes in back of tent looks real good... u think i could pull 400g?